RubiCon Remote is an application which extends the user interface of Rubin's RubiCon Building Automation System. Using the application you can check and set parameters of an installed system. The items (the rows) on the views represent the parameters. Some items are disabled meaning the user has no right to set the parameter. 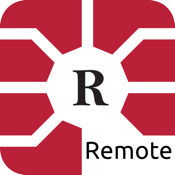 RubiCon Remote is an online application so it requires a fully installed RubiCon system as a backend. To help you to try the application we run a simulator at our web site. You can connect to the simulator using the default settings of the app. The application is localized in English and in Hungarian which are supported by the simulator.